Surprise his with a Superman themed birthday party and make every moment of it memorable. Birthday is that day in your son's life when he can make noise without being reprimanded. 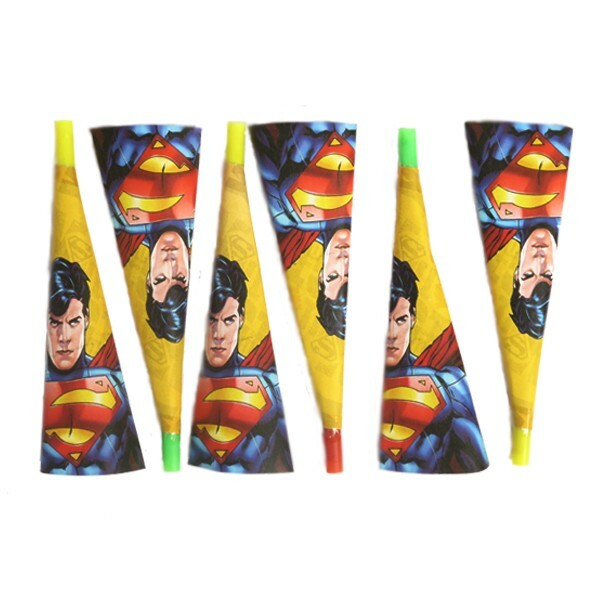 So, let her indulge in her freedom for a day and distribute these Superman paper horns among her friends to blow them to their hearts' content and make your son feel special and delighted. The horns are fitted with plastic nozzles so that they don't turn soggy with excessive use. Each pack includes 6 horns.